In addition to the X Games in Minneapolis 2017-2020 showcasing skateboarding on a grand scale, the local scene and all of Minnesota could be getting a skateboard boost at the State Capitol. 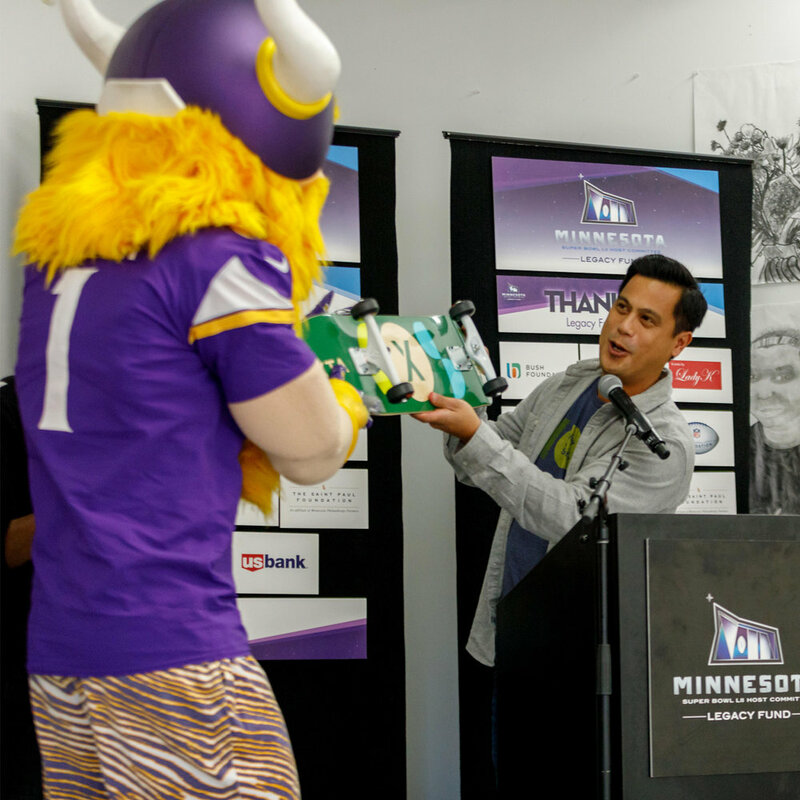 The Minnesota Super Bowl Host Committee (MNSBHC) Legacy Fund awarded a $50,000 grant to Juxtaposition Arts and City of Skate to build the first-ever Skate-able Art Plaza in North Minneapolis. Minneapolis partners with skateboard advocacy group to promote the sport in city.